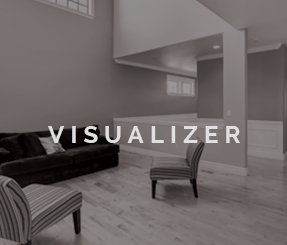 Vinyl flooring is not the vinyl flooring it used to be. 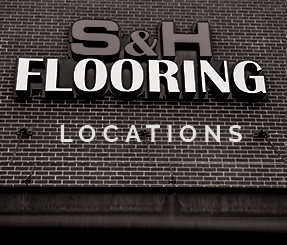 S&H Flooring’s vinyl flooring is offered in many choices in colors, patterns, and textures. Some of the most popular types of vinyl mimic the great looks of tile, slate, marble, travertine and even wood. Available in tile-shaped and plank-shaped individual pieces, today’s vinyl flooring not only emulates the look of its inspiration, it is warm, flexible and comfortable underfoot. For the more adventurous designer, different colors, styles and sizes can be mixed and matched to create unique patterns. Another option is vinyl sheeting, which still remains one of the most popular flooring categories, and for good reason. Sheet vinyl is available in a wide range of looks, is durable enough for high-traffic areas, and is easy to clean. Vinyl sheet flooring comes in either 6’ or 12’ rolls, which means you won’t have seams where you don’t want them. Regardless of your vinyl choice, vinyl makes life easier on cleaning day. To keep your vinyl floor clean and sparkling, all you need to do is sweep as needed and occasionally use a damp mop with commonly found floor cleaning products. Today’s vinyls have advanced coatings to create a stronger barrier to protect against fading, scratches, stains, and moisture. Spills sill simply bead up and can be easily wiped away. Another great reason people choose vinyl is its affordability! 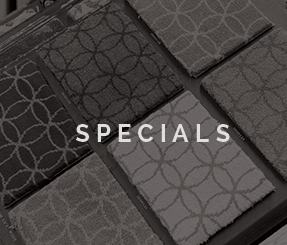 Even with all of the advancements in vinyl flooring in recent years, it still remains an affordable choice, regardless of which end of the price spectrum falls within your budget. Vinyl makes life easier when it comes to cleaning. To keep your vinyl floor clean and sparkling, all you need to do is sweep as needed and occasionally use damp mop with floor cleaning products. Unlike before they now have advanced coatings to create a stronger barrier to protect against fading, scratches, stains, and moisture. Spills sill simply bead up and can be easily wiped away.Another great reason people choose vinyl is it’s affordability! With all of the advancements in vinyl flooring these days, it still remains affordable. Even some of the more expensive vinyl products are still budget-friendly.